New show! Contests! Original prizes! PREMIERES! 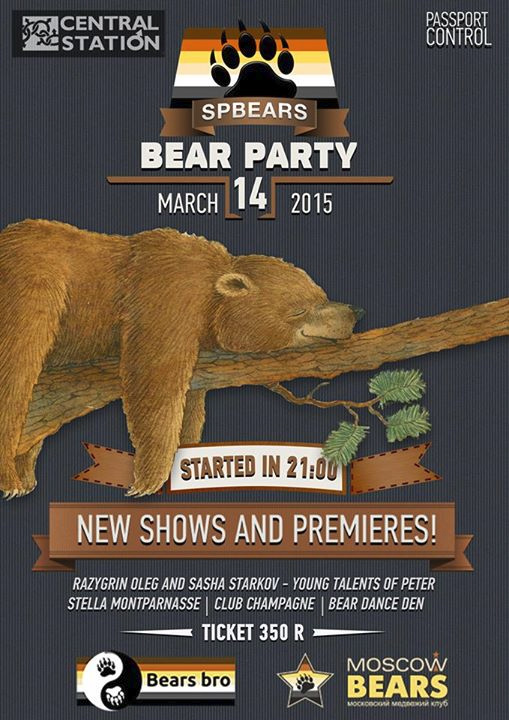 For Peter bears and their guests will perform actors CS St. Petersburg, as well as the first performance - Stella Montparnasse! For the first time - for the bears granted ballroom on the third floor - we call it "Bear tantsberloga": 0) hope that this plan will be successful and there in the future for us all night to play tough Bears DJs from Russia and Europe!